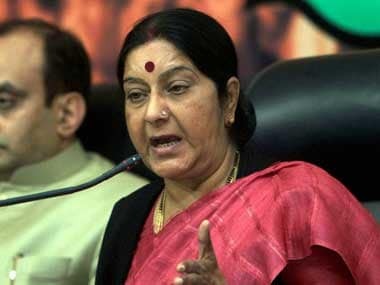 New Delhi: There is no evidence of the 39 missing Indians in Iraq being dead or alive but search for them will continue till there is concrete evidence about their fate, External Affairs Minister Sushma Swaraj said in Parliament on Wednesday. 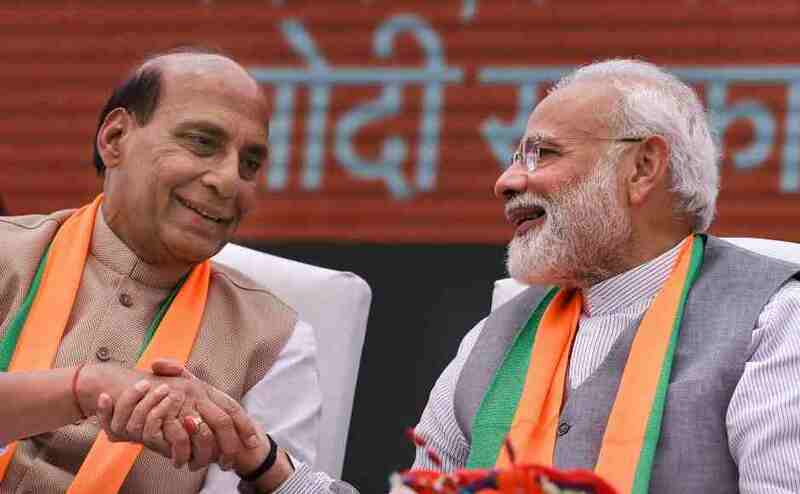 Making in a statement in the Lok Sabha, the minister refuted the allegation that the government was misleading the nation on the issue. She said it would be a "sin" to announce the 39 Indians who went missing in June 2014 in Mosul as dead as long as there is any proof. She said she has asked the Iraq government to give them an update with evidence on what happened to the 39 Indians, who were mostly from Punjab. The minister said that Harjit Masih, who was part of the group abducted by Islamic State militants but had escaped, claimed the Indians were shot dead in a forest in Mosul, but no bodies or evidence had been found. "After listening to the story, I told the embassy to search the whole of Mosul, and around, you will find the 39 bodies somewhere, or blood stains would be there. I also said the Islamic State has a habit of issuing lists if they kill many people of a country. "We did not find any bodies, list, video or any photo. I thought we should at least search for them," she said. The minister said while one person has said they are dead, at least "six sources" have said they may be alive. She also said that according to the information that has been received, the group was caught at the Mosul airfield, and taken to a jail, after which they were put to construction work, and then farming, before being taken to Badush jail in 2016. But after that there has been no contact. She also said that all the information was collected from different sources and there was no evidence to support the claims. 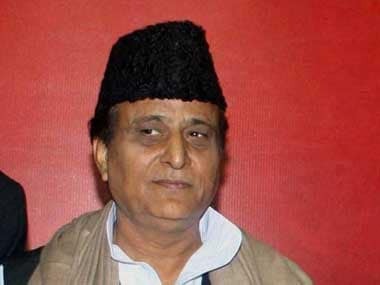 Following reports in the media that the Badush jail building had been demolished, the minister was blamed for misleading the nation on the 39 Indians. She however said that in all her meetings with the families of the missing people, she has always made it clear that there was no evidence about them being alive, just as there was no evidence that they were dead. "I have suggested that the prison warden (of Badush jail) should be contacted, they may have a list. Otherwise there will be bodies, are the bodies in shape to do a DNA test..." she said. The minister said that in a war there are four categories of people — prisoners of war, the missing, those killed and those believed to be killed. She said there have been cases of people believed to be killed but have been found alive several years later. "The file will not be closed till there is concrete evidence," the minister added. Earlier, Sushma Swaraj faced ruckus in the Lok Sabha from opposition members, mostly the Congress, as she was about to speak. Speaker Sumitra Mahajan then asked Sushma Swaraj to make a statement on the issue. 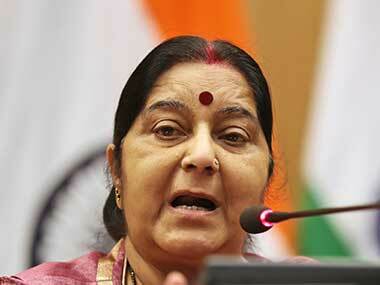 Sushma Swaraj urged the agitating Congress members to maintain silence. "I will speak when there will be no slogan shouting. You all know the matter is very sensitive and needs to be heard sensitively," she said. The abducted workers, mostly from northern India, were working in a construction company near Mosul when militants captured the Iraqi city in 2014. Some relatives of the missing people in Amritsar have said they received phone calls from some of the workers five days after Mosul was captured. Masih, who was a part of the group and managed to escape, had claimed the Indians were all shot dead a few days after they were abducted.